OrlandoEmergencyPlumber.net is a network of the most trusted plumbing professionals in the Greater Orlando area. When you have a plumbing emergency you need a plumber now! In an emergency there is no time to research the best plumber. We know that you just want the peace of mind that help is on the way. At OrlandoEmergencyPlumber.net we have developed partnerships with licensed plumbing professionals throughout central Florida. We only partner with the best in the industry. Companies are carefully screened before being accepted into the network. Members of the network must adhere to the highest standards of customer service and fair pricing practices. 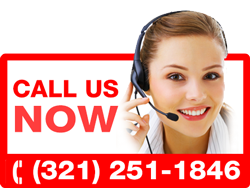 You have a Plumbing Emergency - You contact us. You tell us about your Plumbing problem. We match you to an Emergency Plumber in your area. You get a Plumber FAST and get your issue resolved. OrlandoEmergencyPlumber.net is a referral service. When you call us, we will locate a plumber within our network to fit your needs. Our goal is to minimize the time it takes you to find an emergency plumber in your area. We will find the most appropriate service provider who can respond immediately to your emergency. Our service is completely free of charge. What does your service cost? Our referral service is completely free of charge. The Plumbers in our network, however, do charge for their services. Their service charges vary on the type of plumbing issue, the time of day, day of the week, and several other factors. We will make every effort to give you a price range BEFORE a plumber comes out to your property, but we cannot give you an exact price over the phone. Please discuss pricing with your plumber when they contact you. Our agents will seek out the best rate for you but we cannot control pricing.